With many people apparently unable to follow basic traffic laws such as using your mobile phone while driving, not wearing a seatbelt, driving whilst insured or with a licence. 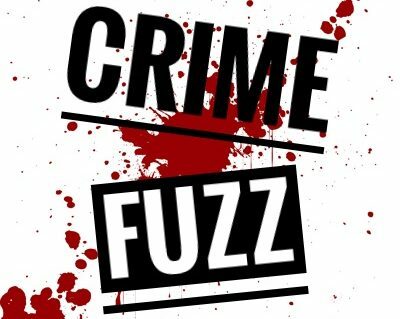 We at CrimeFuzz thought we would give you a couple of extra laws that you probably don’t know about! We thought we would start with an easy one! Believe it or not it is actually illegal to reverse on a Motorway. If caught reversing whilst on a Motorway, one can expect to receive 3 points on their licence and a £100 fine! Reversing an Unresonable Distance. Continuing our theme of travelling backwards, it is illegal to reverse for an “unreasonable” distance. There is no set distance that is deemed unreasonable but we hope that common sense would prevail! It’s probably ok to reverse off your drive but to then continue your 40 mile commute travelling backwards may not be such a good idea…. If deemed to have reversed an unreasonable distance a Police Officer can write you a ticket entitling you to a £50 fine! Here’s one for the walkers! If you are deemed to be loitering on a pedestrian crossing, for an unnecessary amount of time, you could face a £50 fine! Not Stopping Your Engine When Stationary. Most of us wouldn’t consider this the crime of the century, however it is actually an offence to not stop your engine whilst stationary for the prevention of noise and/or emissions. If caught you could face a £50 fixed penalty notice! Mascot/Emblem Likely to cause injury in a collision. This is a somewhat weird one we will admit, but it makes total sense! It is an offence to have something on your car as a mascot if it is going to cause an injury in an accident. Fluffy dice are safe…. For this you can receive a £50 fine. There you have it! 5 of the strangest traffic offences in the UK! Knowledge is power and hopefully now you won’t make the mistake of committing any of these offences! For more traffic laws check out the books below! Previous Nissan GTR: The Perfect Panda car?